Today, with the completion of the last phase of assembly election 2014 in Jharkhand and Jammu Kashmir, five phase voting has come to end. Now we will get the final results of election on 23rd December after 8 AM when the counting will start. At present, we have exit poll results from various news and survey agencies. As per these exit polls, BJP can make next government in Jharkhand while it will be hung assembly in Jammu Kashmir whereas PDP will emerge single largest political party as per the exit polls. All exit polls are predicting BJP's win in the Jharkhand assembly election. This trend shows that PDP will emerge single largest political party in the state and BJP will be the biggest gainer in state. However, no single party will be able to make next government in Jammu Kashmir on its own. To make a government in the state, two or more political parties are required to come together. 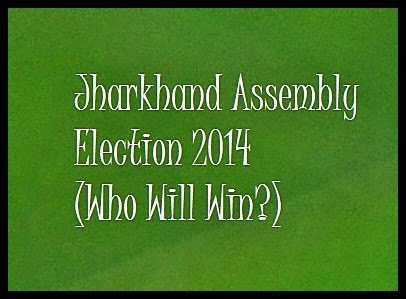 Jharkhand assembly election 2014 have just started. These elections will be completed by the election commission of India in five phases. Final results of Jharkhand assembly polls will be declared on 23rd Dec 2014 with the counting of votes. Now, there is only one question in everybodies mind that who will win these elections in Jharkhand. The main fight in Jharkand is between the BJP, JMM (Jharkhand Mukti Morcha) and Congress; though, we can't rule out other small parties and independents in Jharkhand. There is a total of 81 assembly seats in Jharkhand and any political party or alliance needs support of 41 MLAs to form the next government. In last Assembly election in 2009, 20 seats were won by small parties and independent candidates. In this election BJP won 18 seats, JMM 18 and Congress 13. At present Hemant Soran of JMM is running government in the state with the support of Congress and RJD. Few months back in Loksabha Election 2014, BJP won 12 Loksabha seats out of 14 seats. 2 remaining seats were won by JMM. BJP will again like to repeat this success in the Assembly Election too; however, so far, it has failed to do so in past. After making a good success in Haryana and Maharashtra, BJP will definitely see for the same opportunity in Jharkhand. If we take Loksabha election trends, then BJP looks to have the edge in Jharkhand. Anti-incumbency against the present government of JMM and Congress will also help BJP to gain more votes. Final, Results of Jharkhand will be available in front of us on 23rd Dec then we will come to know that who is the real winner of Jharkhand. There are 87 Assembly seats in J&K and any political party or alliance need support of 44 MLA to form the next government. The J&K Assembly has six year tenure unlike five year tenure of Assemblies in other Indian states. Last elections were held in J&K in 2008, in this election National Conference (NC) won 28 seats, People's Democratic Party (PDP) 21 seats, the Congress 17 seats, BJP 11 seats and Others 10. National Conference made government at that time with the support of Congress and Omar Abdullah became Chief Minister of the state. We can divide J&K in three regions of Kashmir, Jammu and Ladakh which have 46, 37 and 4 seats respectively. 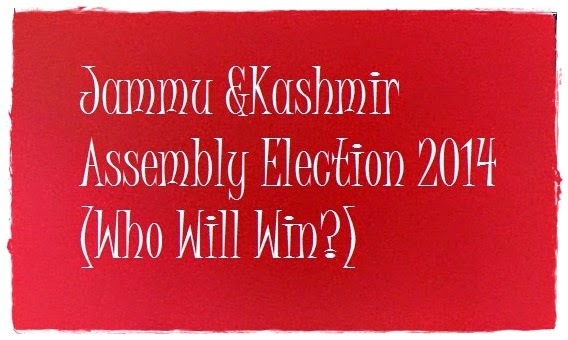 Kashmir Valley with 46 assembly seats enjoy a good say in the formation of the next government in the state. The main fight in J&K is between NC, PDP, Congress and BJP. Both NC and Congress are likely to face anti-incumbency factor in this election because of six year rule in the state. PDP has tried to increase its hold in Jammu Kashmir region because it failed to show a good show here. This time, BJP also finds it in the race because it won three Loksabha seats J&K out of total six Loksabha seats in few months back. This was the best show of BJP in J&K so far. Therefore, the BJP is very optimistic of showing a good performance here. However, at ground level the fight is very tough because of regional divided and polarization of votes. Under such situation, it is very difficult for the signal party to win an absolute majority in the state. If we go with the performance of the Parties in recently held Loksabha Election then NC and Congress are likely to lose some seats while PDP is likely to retain its seats. BJP can be big gainer in this election; however, it is not easy for it cross 44 mark. Overall, J&K assembly elections are going to be very tough and we can only get the exact results on 23rd Dec, 2014. Below find the list of Phase wise assembly seats/constituencies for the upcoming Jharkhand assembly election 2014. Finally, the election commission of India has announced the dates for assembly election in the Indian states of Jammu & Kashmir and Jharkhand. The assembly terms in both of these states are going to expire in Jan, 2015. The Election Commission of India has decided to conduct these elections in five phases because of many sensitive parts present in both these states. J&K is threatened by militancy and Jharkhand is affected with Maoists. To take care of all threats and to make voters feel safe while voting these assembly elections will be in five phases. The election schedule will start from 28/10/2014 and end with the final counting of votes on 23/12/2014. There are 81 assembly seats in Jharkhand and 87 assembly seats in Jammu & Kashmir. Below find constituency wise results of Haryana and Maharashtra Assembly Election 2014. After the end of voting in Haryana and Maharashtra Assembly election 2014, we are getting some exit poll results by leading news channels. Exit poll results are available from ABP news, Aajtak, India TV, News Nation etc. As per the exit poll results BJP is going to emerge single largest political in Maharashtra and Haryana by winning 120 to 140 seats and 35-46 seats respectively. 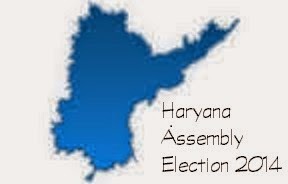 On 15th October, 2014 Haryana state of India will go to assembly polls. The results of these elections will be available on 19th Oct, 2014. Like Maharashtra assembly election, all political parties are going alone in the Haryana assembly election. The main political parties in Haryana are BJP, Congress, INLD and HJC. Congress has government in the state for the last ten years. In Loksabha election, BJP has an alliance with HJC but after the poor performance of HJC is Loksabha election, it decided to go alone in Haryana. Now we have few opinion polls by TV channels like ABP, India TV for Haryana assembly election 2014. All these opinion polls point in the same direction that BJP will emerge as the single largest political party in Haryana by winning 30 to 36 seats. As per surveys, INLD will emerge as second largest political party by winning 22 to 27 seats. Congress will be in third place with 13 to 17 seats and HJC at fourth place with with 8 to 12 seats. In general, opinion polls are based on very small samples (3000 to 5000); therefore, it will not be right to completely trust them. We need to wait till 19th Oct to see actual results for Haryana Assembly Election 2014. Maharashtra Assembly elections are just few days away and on 19th Oct, 2014, we will know about exact results when final count will take place. Meanwhile, everyone is busy in predicting possible outcomes of Maharashtra Assembly election 2014. This time, the fight for Maharashtra Assembly has become four sided because of the split in 25 year old BJP-Shiv Sena and 15 years old Congress-NCP political alliances. Now all these political parties will face each other in coming election; due to this reason, it has become even more difficult to tell who will be the winner in these elections. All political parties in Maharashtra are claiming that they will win these elections; however, we will know the exact results on 19th Oct. Congress-NCP combine was in power in Maharashtra from last 15 years; however, this time both parties decided to go alone because of a fight over seat sharing. Same was also the reason of split between 25 years old BJP-Shiv Sena alliance. At present, we have three opinion polls by Aaj Tak, Zee Business and The Week. All these three opinion polls have given different possibilities; however, one thing is common in all of them that BJP will emerge single largest political party in Maharashtra after these elections. As per the surveys, BJP is likely to get 90 to 153 seats in Maharashtra. Two surveys have put Shiv Sena at number two while one survey has put Congress on number two. As per surveys combined Shiv Sena can get 35 to 85 seats while Congress can get 25 to 70 seats. NCP is likely to get 20 to 35 seats. MNS is likely to get 7 to 20 seats. If these surveys are going to be correct, then BJP can be a single largest political party in Maharashtra or it may win a majority. However, all of these surveys are just about 5000 to 8000 samples; therefore, we can't blindly trust them. The best possible option will be waiting till 19th Oct, 2014 for the final verdict. Today counts has taken place for the recently held bypolls for vacant assembly seats in Rajasthan, Uttar Pradesh and Gujarat. Elections held for 11 assembly seats in Uttar Pradesh, 9 assembly seats in Gujarat, 2 seats in West Bengal, 1 seat in Telangana and 4 assembly seats in Rajasthan. Most of these seats are of BJP, which became vacant after present MLAs won Loksabha elections. At the per the trends and results available, it looks that BJP has lost its edge which it gained in the recent Loksabha election. Below find live results of recent bypolls held in Uttar Pradesh, Gujarat and Rajasthan Assembly election 2014. Both Haryana and Maharashtra Assembly terms are going to end on 27-10-14 and 08-11-2014 respectively. Therefore, it was important for the Election commission of India to conduct assembly elections in both states before these dates. The Election commission of India has decided to conduct assembly polls in Haryana and Maharashtra on 15th Oct, 2014. The counting of votes will take place on 19th Oct, 2014. Electronic Voting machines will be used to conduct these elections. The election commission of India has made 16244 and 90403 polling stations in Haryana and Maharashtra to conduct these elections. The total number of voters in Haryana and Maharashtra are 16158117 and 82591826 respectively. From the trends of Loksabha election 2014, it is now clear that BJP is heading for historic win. BJP lead NDA is presently ahead in 310 Loksabha seats and BJP is ahead in 250 plus seats. If BJP wins more than 250 seats in Loksabha election 2014 then it will be first time when BJP will cross 200 seats mark in Loksabha election. The main highlight of this victory of exceptionally better performance of BJP and exceptionally bad performance of Congress. As per the trends, Congress and its alliance is not going to cross 100 seats in Loksabha. Overall, it is a great win for Narendra Modi and it looks that people of India have voted for development and stable government at the centre. Finally, the Vote Counting for the Loksabha Election2014 and Assembly Election of Telanagana, Seemandhra, Odisha and Sikkim has started. It is a tough job to count millions of votes; however, the Election commission of India is doing it perfectly every time. Now we can hope that first trend of Loksabha election will be available with us very shortly. Because of Electronic Voting Machines, the time of Vote counting has considerably decreased and we get results fast. Vote counting for Loksabha Election will take place at more than 900 counting stations spread across India. Before, the results of Loksabha election, we can expect Assembly election result because in assembly election less numbers of votes are required to be counted. All live results and trends will be updated on this site, as soon as they will become available. Vote Counting for Loksabha Election 2014 and Assembly election of Odisha, Telangana, Seemandhra and Sikkim to start in less than one hour. At present counting staff is busy in managing EVMs machines. After 7 AM political party observers will be allotted seats inside counting centre so that they can check that counting is taking place properly and their is no wrong practice going on during the Counting. At most of counting stations across India, counting of votes will start by 8 AM with first counting of postal votes; though at some places there may be some delay in start of vote counting due to different technical and technical issues. Tomorrow is a big day for Indian politics because tomorrow, we will get results of recently completed Loksabha elections. At present whole of world and all Indians are waiting for the results of Loksabha election so that everyone can know who will be the next prime minister of India. India is the biggest democracy of the world with more than 823 million voters. Indian Election commission completed these elections successfully in nine phases. Now, only wait is for the results of Loksabha election. The counting of Votes for each Loksabha constituency will start at 8 AM with first counting of postal votes. We can expect trends of Loksabha Election within first hour because of Electronic voting machines. Final results may take few hours because of different complexities. Exit polls have given win to BJP lead NDA; however, we will get to know real results only tomorrow. Does Congress and AAP as accepted Defeat in Loksabha Election 2014? All exit poll results have gone in the favour of BJP lead NDA and, if we go by exit polls then it looks that BJP and NDA is heading for their biggest win in Loksabha election ever. After the results of exit polls for Loksabha election 2014, it looks that both Congress and AAP have accepted defeat. First reaction from most of the opposition parties was denial of Exit poll results; however, soon many of the leaders of AAP and Congress started showing sign of defeat. First it was AAP's kumar Vishwas who said that it was bad decision of Arvind Kejrewal to resign from Delhi government and AAP may suffer in Loksabha election because of this decision. Second, it was senior leader and political analyst Yogendra Yadav who said on NDTV that it will be wrong to not accept exit poll results. Similarly, some of Congress leaders have already came forward in the support of Rahul Gandhi in case of Congress loses. As per news, Rahul Gandhi has left for oversees and he will not be available during Loksabha results. All these actions and statements clearly indicate that to some extent AAP and Congress has expected defeat in Loksabha election 2014. Though, we can wait till tomorrow to find actual results of Loksabha Election 2014 and to see who will be final winner. Today, many news channels and survey agencies released their exit poll results for the Loksabha Election 2014. Most of these exit polls are giving BJP lead NDA 255 to 290 seats, which means that if these exit polls went right then Narendra Modi will become the next Prime Minister of India. Though, we can't be 100% sure of exit poll results because all exit polls failed to predict 2004 Loksabha Election. From these exit polls, we can get some idea of a possible future outcome on 16th May. So far, it is good news for BJP and it will hope that prediction by exit polls should become true. The worst sign these Exit polls are showing for Congress, as per the exit polls, Congress is likely to get 95 to 120 seats. If these exit poll results become true that Congress will be the biggest loser in Lokabha election 2014. Today, in Loksabha Election 2014 last phase of voting will take place in 41 Loksabha seats and by the evening biggest elections of a world that is Loksabha Election 2014 will come to end. After the completion of Loksabha Election 2014, everyone around the world wants to know the results of Loksabha election 2014. During Loksabha election, many news agencies and survey firms did exit polls to get the pulse of the results of Loksabha Election 2014. As per the Election of Commission directive, exit poll results can be published today after the completion of the last phase of Loksabha election 2104. 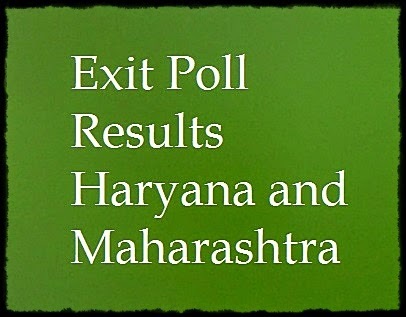 After 6 PM (IST), everyone can check the latest update on all exit poll results on this page. All Exit Poll results declared yesterday had given the BJP lead NDA a victory. As per the all Exit Polls, NDA is going to get 250 to 290 Seats in just concluded Loksabha Election 2014. Most of exit polls are giving a good news to BJP for expected results of Loksabha Election in Uttar Pradesh. UP has 80 Loksabha seats; therefore, it is very difficult for any political party to make government at the Center without winning large numbers of seats in UP. As per the available exit polls results for UP, BJP alliance are going to win 45-55 seats in UP thus increasing the chances of next government of BJP at the Center. Delhi has seven Loksabha seats, last time all seven Loksabha were won by The Congress. This Exit polls indicate that BJP can win from 5 to 7 Loksabha seats in Delhi. The Indian State West Bengal is a very crucial state with 42 Loksabha seats. At present TMC has government in West Bengal. As per the exit poll results, TMC is going to win maximum seats in West Bengal followed by the Left parties. 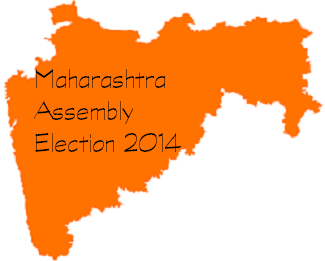 Maharashtra is a very important state for Loksabha with 48 Loksabha seats. In present Congress-NCP has government at state. As the most of exit poll results for the Maharashtra BJP and Shiv Sena alliance is going to win 32 to 38 seats which is a big number and it can help BJP in making next government in Center. Madhya Pradesh has 29 Loksabha seats and BJP has government in the state. This state is very important for BJP because BJP hopes to get maximum of 29 Loksabha seats in MP. All exit polls also predict on this line and they are giving BJP 23-28 seats and Congress 1-5. With 40 Loksabha seats, Bihar is a crucial state for making next government at the center. So far, all surveys are suggesting lead for BJP alliance in Bihar by winning 21-25 seats. The major setback will be to JDU which is expected to win 2-6 seats. Odisha state has 21 Loksabha seats and this state has remained strong hold of BJD. As per the exit polls, this time again BJD is likely to retain its lead by winning 10-16 seats. Here BJP can win 3-9 seats. Gujarat state is very important when it comes to Loksabha Election, It has 26 Loksabha seats. This state has remained a stronghold of BJP and BJP's PM candidate Narendra Modi's comes from Gujarat. As per the exit poll, BJP is likely to perform very well in Gujarat by winning 21-26 seats. After winning in a last year assembly election in Rajasthan, BJP is likely to retain its strong position in Rajasthan in Loksabha Election too by winning 21-25 seats.